Founded in 1977 by brothers Tom and Bob Dyer, and today run by Tom’s son Peter, Dempsey Dyer is currently celebrating its fortieth year and is proud to still be a family owned and run business. 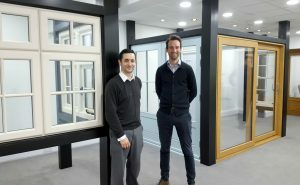 In the decades since, the Yorkshire-based fabricator has grown to become one of the region’s foremost providers of timber and Deceuninck uPVC. In recent years, the company has combined the two specialisms to produce the Beaumont window range, mechanically-jointed uPVC frames with an authentic woodgrain appearance.